Beautiful 4 bedroom home set back from road on a generous lot with long driveway offering ample room for parking and a New roof! Elegant formal dining room off entry with features wood floors, tray ceilings, crown molding, wainscoting, and tray ceilings. French doors off foyer opens to newly carpeted office. Roomy living room offers new carpet, and cozy fireplace for those cold nights. Eat in kitchen showcases stainless steel appliances, center island, pot rack, and granite counter tops. 2nd floor master bedroom offers deep walk in closet, and spacious en-suite bathroom including dual sinks, soaking tub, and shower. Raised deck off rear french doors overlooks large grass backyard with wood view. Great spot to relax at the end of the day!! 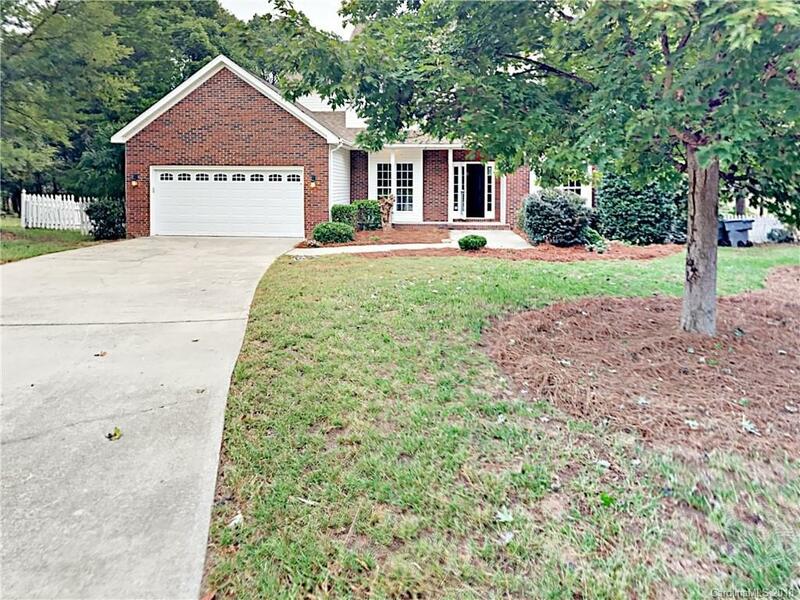 Community located close to shopping, and Charlotte Motor Speedway. A must see! !